Still getting painful flare-ups as a result of your gout? 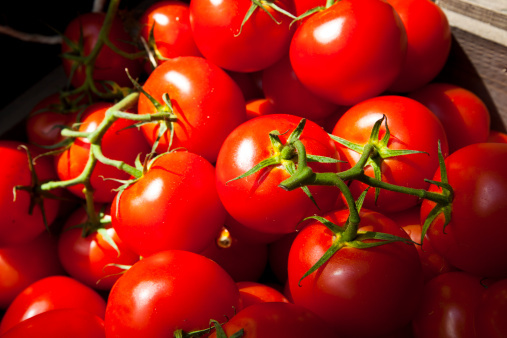 A recent study from New Zealand’s University of Otago has found that tomatoes may be the cause. Gout is an extremely painful form of arthritis that results from a buildup of uric acid in the joints. It causes acute inflammation, with dietary factors being the most common gout triggers. Foods associated with increased levels of uric acid include alcohol (specifically beer), red meat, seafood, and sugar-sweetened beverages. Foods that are generally known to alleviate inflammation and reduce flare-ups include: coffee, dairy foods, and vitamin C-rich foods like fruits and vegetables, including tomatoes. However, many gout sufferers have reported avoidance of tomatoes and tomato products, leading researchers to evaluate consumption patterns of tomatoes and whether tomato consumption was associated with increased levels of uric acid. For their study, researchers examined the dietary intakes of 2,051 men and women in New Zealand with gout. Approximately 71% of participants reported having one or more food triggers. The top triggers included seafood/fish, alcohol, and red meat. In 20% of these cases, tomatoes were listed as a food trigger. Tomatoes were associated with increased levels of uric acid, even though they contain vitamin C, which usually reduces risk. The study was recently published in a paper in the international journal BMC Musculoskeletal Disorders. Flynn, T.J., et al., “Positive association of tomato consumption with serum urate: support for tomato consumption as an anecdotal trigger of gout flares,” BMC Musculoskeletal Disorders 2015; 16(1), doi: 10.1186/s12891-015-0661-8, http://www.biomedcentral.com/1471-2474/16/196. “New research backs belief that tomatoes can be a gout trigger,” ScienceDaily web site, August 19, 2015; www.sciencedaily.com/releases/2015/08/150819103658.htm.